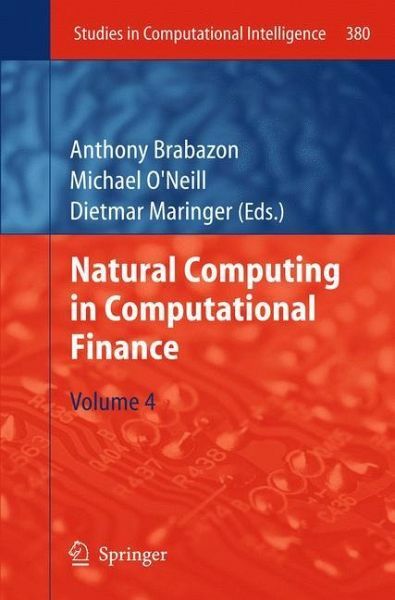 Herausgegeben von Brabazon, Anthony; O'Neill, Michael; Maringer, Dietmar G.
Anthony Brabazon [B. Comm (UCD), DPA (UCD), Dip Stats (Dub), MS (Statistics) (Stanford), MS (Operations Research) (Stanford), MBA (Heriot-Watt), DBA (Kingston), FCA, ACMA] lectures at University College Dublin. His research interests include mathematical decision models, evolutionary computation, and the application of computational intelligence to the domain of finance. He has published in excess of 100 papers in journals, conferences and professional publications, and has been a member of the programme committee at both EuroGP and GECCO conferences, as well as acting as reviewer for several journals. He has also acted as consultant to a wide range of public and private companies in several countries. He currently serves as a member of the CCAB (Ireland) Consultative Committee on Accounting Standards, and is a former Secretary and Treasurer of the Irish Accounting and Finance Association. Prior to joining UCD, he worked in the banking sector, and for KPMG. 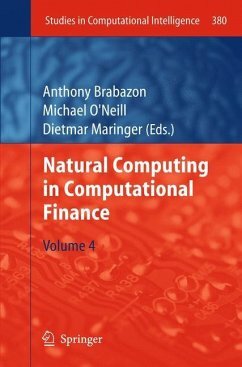 1 Natural Computing in Computational Finance (Volume 4): Introduction.- 2 Calibrating Option Pricing Models with Heuristics.- 3 A Comparison Between Nature-Inspired and Machine Learning Approaches to Detecting Trend Reversals in Financial Time Series.- 4 A soft computing approach to enhanced indexation.- 5 Parallel Evolutionary Algorithms for Stock Market Trading Rule Selection on Many-Core Graphics Processors.- 6 Regime-Switching Recurrent Reinforcement Learning in Automated Trading.- 7 An Evolutionary Algorithmic Investigation of US Corporate Payout Policy Determination.- 8 Tackling Overfitting in Evolutionary-driven Financial Model Induction.- 9 An Order-Driven Agent-Based Artificial Stock Market to Analyze Liquidity Costs of Market Orders in the Taiwan Stock Market.- 10 Market Microstructure: A Self-Organizing Map Approach to Investigate Behavior Dynamics under an Evolutionary Environment.